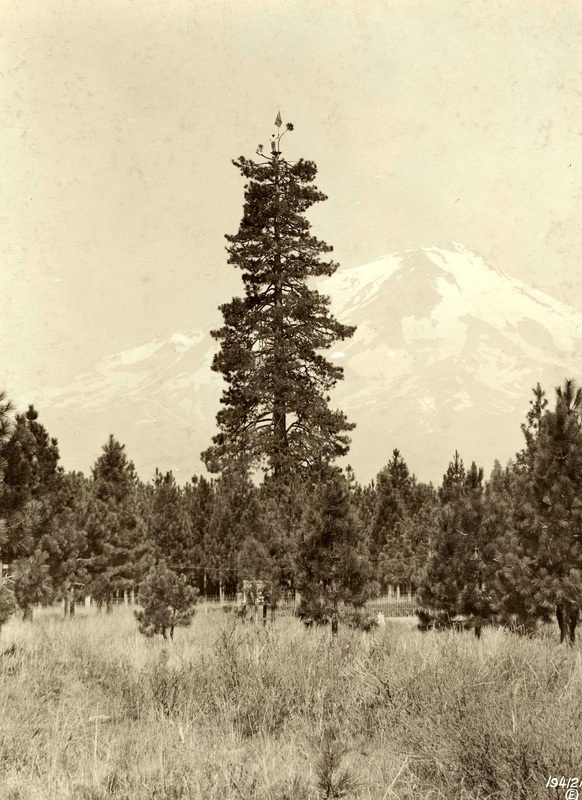 1933: The U.S. Forest Service constructed a lookout at this location. 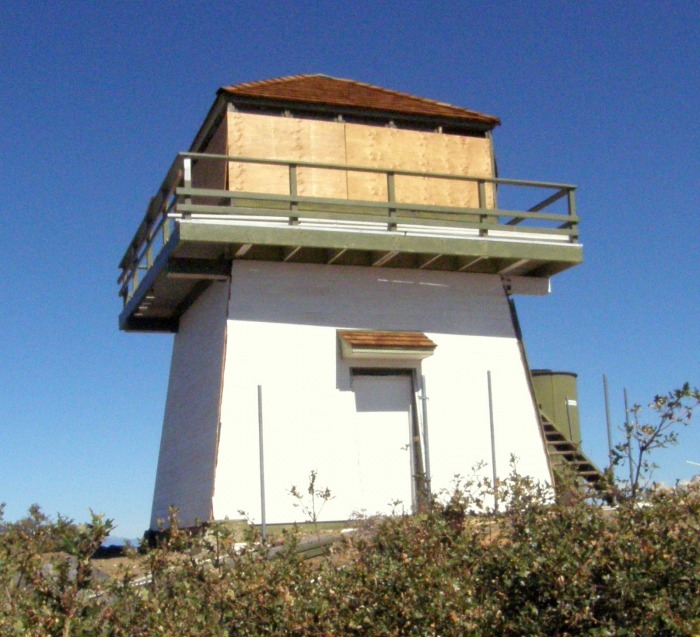 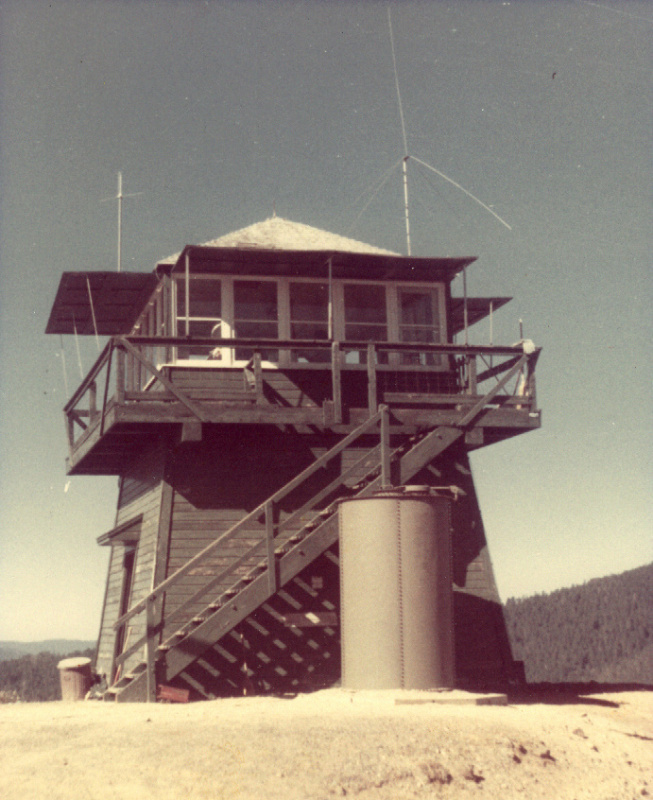 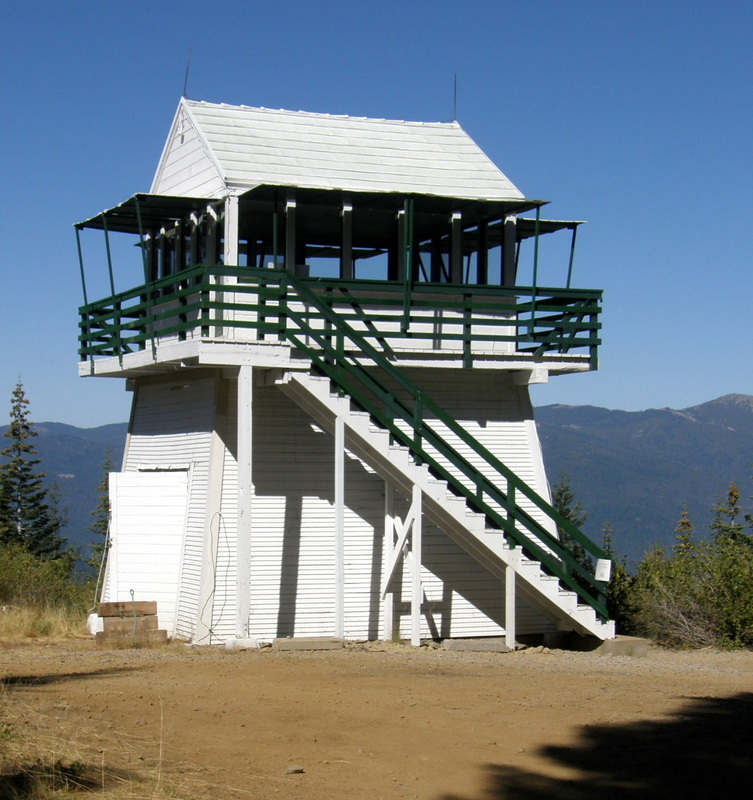 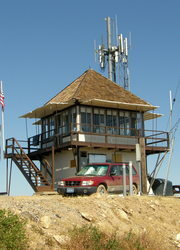 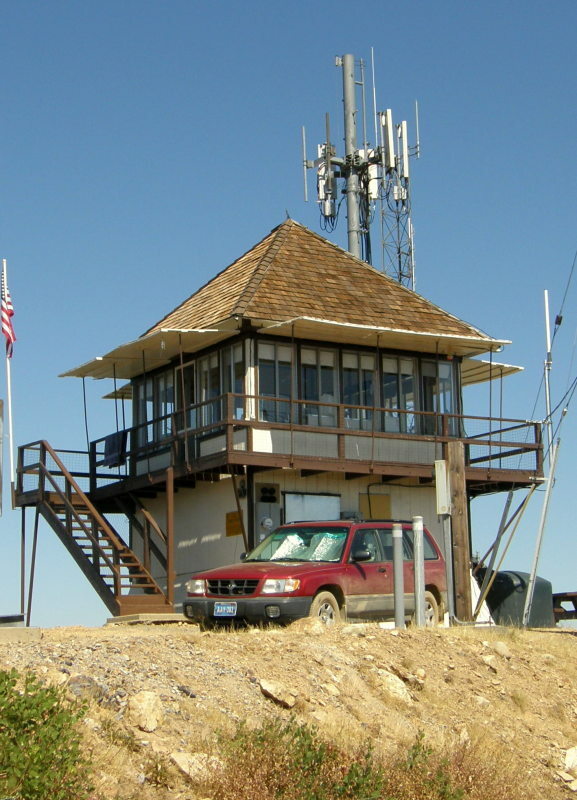 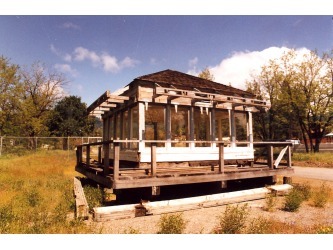 1976: The new California Department of Forestry design lookout was constructed. 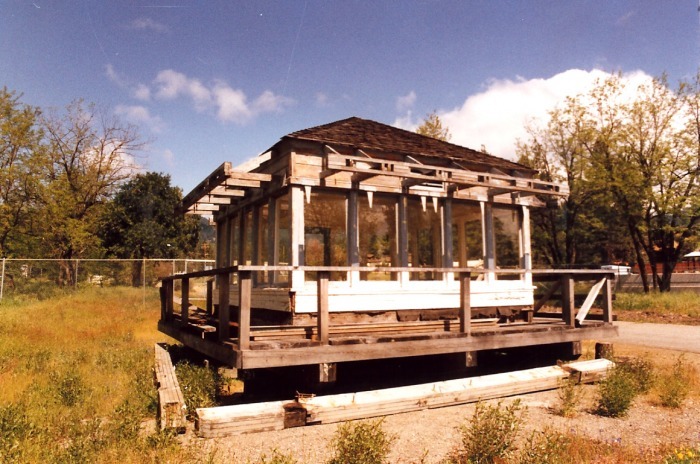 Most of the lumber used in the construction was cut by men from the Intermountain Conservation Camp near Bieber and a great deal of the metal fabrication was done by inmates at the Deadwood Conservation Camp near Fort Jones. 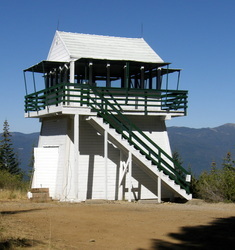 Has been moved to the fairgrounds in Hayfork, Trinity County.